The launch of the new 2.5D graphics in 0.5.0 was such a success that I realized the best possible direction to take shattered in is to add even more dimensions! Lots of games do 3D graphics though, so I wanted to try something a bit different and make the game utilize true 3D! I know that true 3D graphics are becoming a big thing today with those fancy new Occulus Vives and HTC Rifts, but in order to maintain Shattered’s compatibility with dinosaur phones from 2009 I knew that I would need to use a different approach. 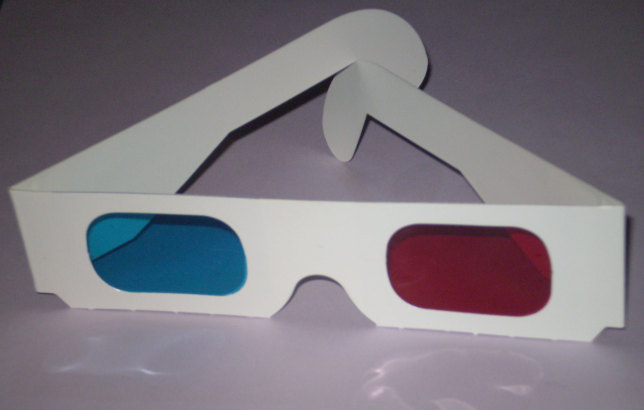 Then it hit me, 3D has been successfully used in pictures and film for decades, and all it requires is a cheap set of 3D glasses! Today I’ve got a preview screenshot to show you what Shattered will look like in 0.6.0, and I think you’ll agree that it’s very exciting. 0.6.0 is going to hit beta in a few days, and I’ll be looking to fix any concerns people have with this amazing new feature before pushing it live in mid April. Just like with the new graphics in 0.5.0 I won’t be putting in a toggle to turn this off, so make sure to grab a pair of glasses now so you’re prepared! Also look out for 0.7.0 coming later this year, where I’ll be making Shattered display in 4 dimensions! I can’t really show you what that’ll look like, but trust me it will be awesome. Oh, and happy April Fools Day! Expect a blog about what I’m actually working on very soon!